Budgets for centralization: Let’s face it, nobody is excited for new apps anymore. In the past five years, mobile apps have become a commodity. 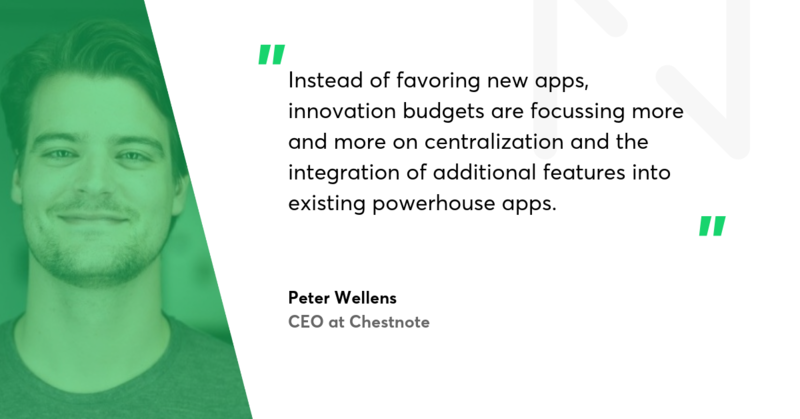 Instead of favoring new apps, innovation budgets are focussing more and more on centralization and the integration of additional features into existing powerhouse apps. In Europe, especially banks are making impressive moves to keep users engaged beyond financial transactions. Examples of centralized features in banking apps are real estate, business matchmaking, and mobility. Health apps win over our data: Smartwatches, improved sensor sensitivity, and overall public acceptance to expose private data in exchange for fitness benefits set the stage for health apps to dominate in 2019. I predict insurance companies making big moves to integrate these apps into their offering in the coming year. Personalization boosted by AI: Always remember, consumers do not want smarter apps, they want more convenient apps. Efficient AI predicting repetitive tasks in our routine and suggesting solutions to save time for consumers will be big business for those that are able to implement it the right way. My money is on apps in media and entertainment hitting this one out of the park first. I expect to see more cross-platform initiatives, like React Native and Kotlin sharing. 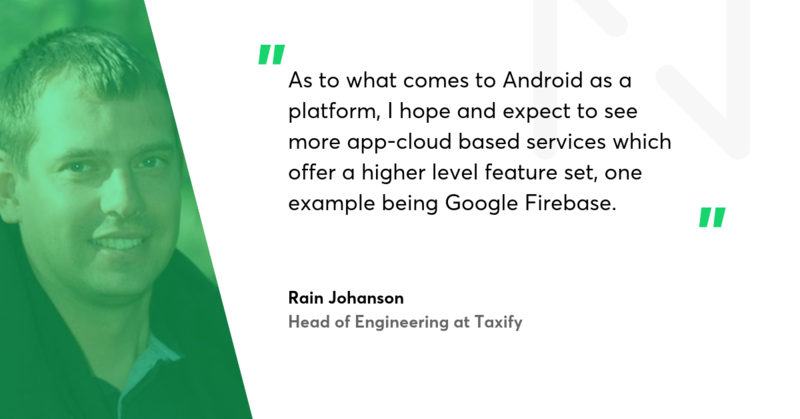 As to what comes to Android as a platform, I hope and expect to see more app-cloud based services which offer a higher level feature set, one example being Google Firebase. Besides that, the ecosystem will continue to grow and there are going to be more applications with machine learning done on the phones and more data processing on the phone. An increasing number of media modification services will become available, like real-time video or voice modifications, automatic picture corrections. 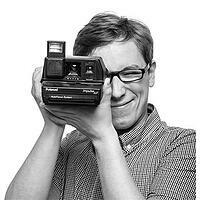 Something like, I'm on vacation and I want pictures of me to look happy and relaxed - this will be automatically done. This capability is very useful to write Kotlin code for iOS or even other platforms like Mac and Windows. It allows us to share code like business logic, models, repositories, presenters, etc. Most importantly, it lets us do it progressively, which is a huge game changer compared to other solutions. 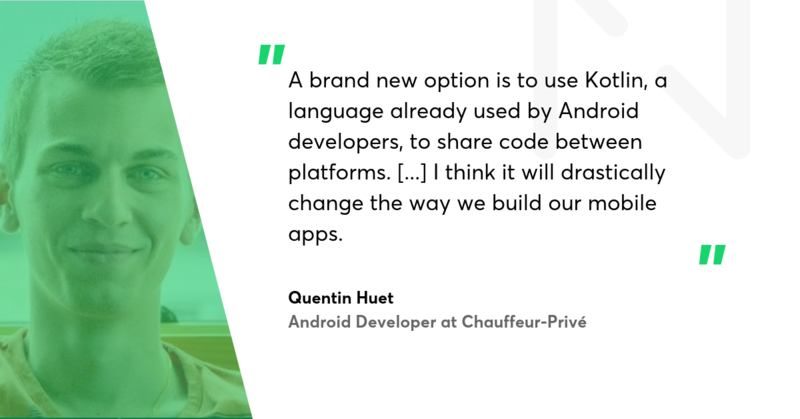 I think these new possibilities will drastically change the way we build our mobile apps, allowing more companies to mutualize their codebase while other will go further creating a 100% Kotlin stack, from the server to mobile apps. In any case, it will be done much more easily and progressively than today, allowing a smooth migration for development teams. Chatbots are as old as computer science and the famous Turing Test, imagined by Alan Turing in 1950, is based on the principle of a machine playing the imitation game, i.e. a computer talking to a human.The latest groundbreaking progresses in machine learning have allowed the development of extremely cheap and reliable solutions to understand spoken conversations and process natural language. These evolutions have led big companies like Microsoft, IBM, Google or others to propose to developers and integrators chatbot interfaces that are easy to program and to customise, while being highly performant on the artificial intelligence side.This environment contributes now to the rise of the chatbots in various use cases and fields: from games to news, and from recommendation to customer service. According to Gartner, the use of chatbots on the latter field will represent 25% of all customer service operations by 2020.Chatbots talk directly to humans, effectively reducing the interface friction comparing to mobile or web apps, adding an insightful input to companies about their customers. 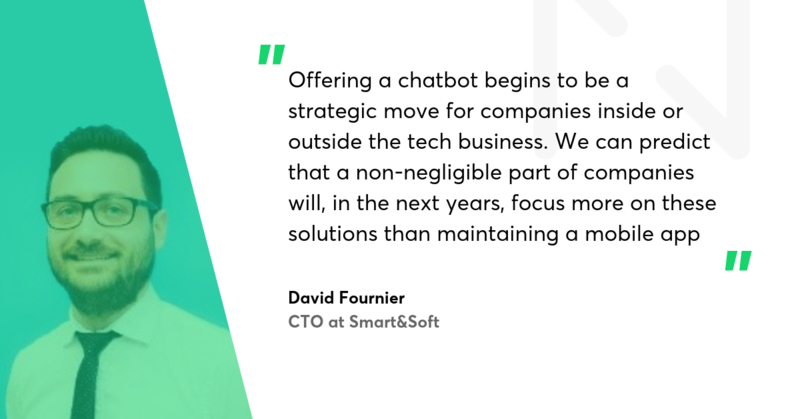 Hence, offering a chatbot begins to be a strategic move for companies inside or outside the tech business. We can in fact predict that a non-negligible part of companies will, in the next years, focus more on these solutions than maintaining a mobile app. In 2018 advancements in core sciences of various technologies came to a stage where practical implementation of real-life use cases is ready to happen. Technology industry moved in breathtaking pace in Artificial Intelligence, Machine Learning, IoT, Augmented Reality, Blockchain and more. This trend will accelerate even more in the coming years. Year 2019 will be the year when developers will look to develop apps and interfaces in latest technologies. 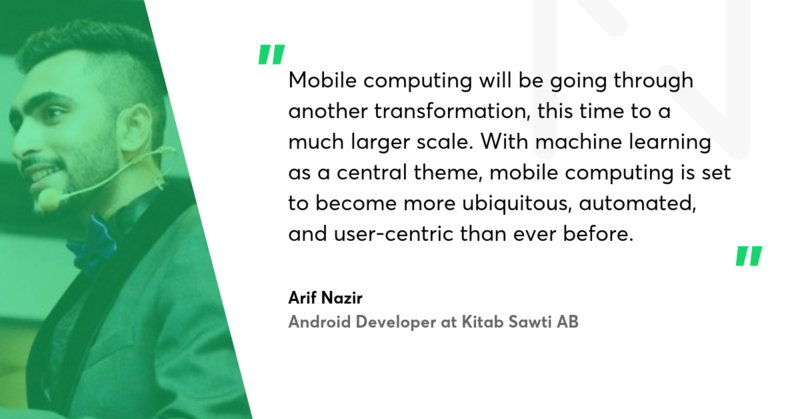 Mobile computing will be going through another transformation, this time to a much larger scale. With machine learning as a central theme, mobile computing is set to become more ubiquitous, automated, and user-centric than ever before. Google is advancing its already stable mobile ecosystem to make use of the advancements in the industry. It is now time for developers to leverage the advancements in these areas and innovate in design and engineering. The promise of blockchain as a decentralized database is a known phenomenon in the tech industry now. Apart from living up to its promise in FinTech, the time is now right for Blockchain to be incorporated in other types of apps. Android developers have no option but to come to terms with blockchain. Given the evolving use-cases in retail, education, healthcare, real-estate, entertainment, and banking, blockchain-based apps are going to be a force-to-reckon with. With HTC launching its first blockchain-based smartphone, at Kitab Sawti we are already exploring blockchain’s potential to enhance in-app consumer trust and protection of copyrights. With Android Pie, Google introduced a major mobile OS API after a long time, namely Android Protected Confirmation, which comes with the concept of ‘Trusted UI’. This is a hardware-protected user interface that is used to perform critical transactions completely outside the primary operating system. This UI protects users from fraudulent apps or a compromised operating system while performing important transactions. It gives apps the power to invoke Protected Confirmation, which is when control is passed to Trusted UI where the transaction credentials are displayed and user confirmation of the integrity of data is obtained. Confirmation results in your data being cryptographically authenticated and delivered to the relying party. Protected Confirmation increases customer and business confidence while providing a higher level of security for the transactions. With many possible use cases, Google has already partnered with majors banks and medical firms to better utilise Protected Confirmation in their business operations. Gone are the days when apps took a lot of space on your phone. While moving your apps to SD Card was a common phenomenon, Google rolled out its new dynamic delivery model recently, The new Android App Bundle is an improved way to package your app. The Android App Bundle results in smaller apps sizes while delivering a great user experience, with little to no refactoring to your existing code. A huge variety of available Android devices will be able to make use of the new publishing format. Features like on demand delivery and instant enabling of modules are going to be a huge step in improved user experience. One example is modularising your app based on free and premium features. This way free users will have no need to download the features that are restricted to premium users, resulting in a lean app footprint, faster load times, and less space occupied. So in 2019, Android apps will drift away from monolithic development to much more modularised apps. The mobile market has been on the rise for a long time, but with the recent innovation in cross-platform development, Artificial Intelligence, Machine Learning, Augmented Reality and Blockchain, it will go through profound changes. Regardless of all the trends, your project is one of a kind and definitely needs a unique approach. If you’re looking for a straight answer on whether you need a mobile app or not and what’s the best solution for your project, the best way to find out is to talk with some experts who can advise you on this. Drop us a message – we’re happy to help!